Bettijo from Paging Supermom is having her fourth baby...and it's a boy! 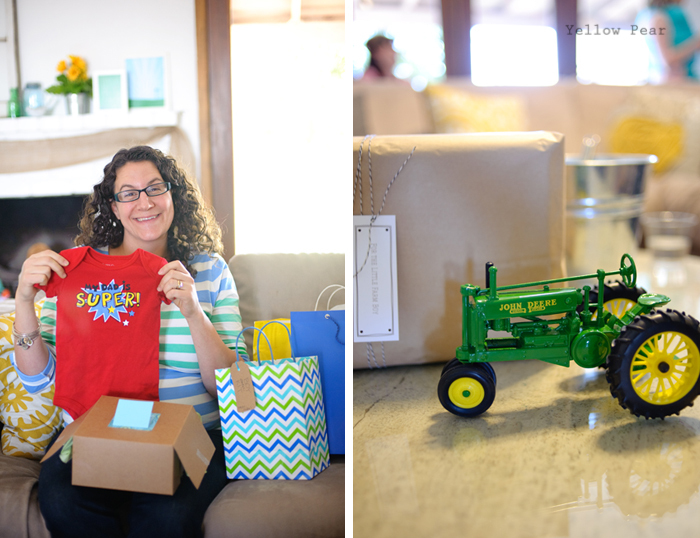 I was invited to photograph her delightful Farm Boy Shower. 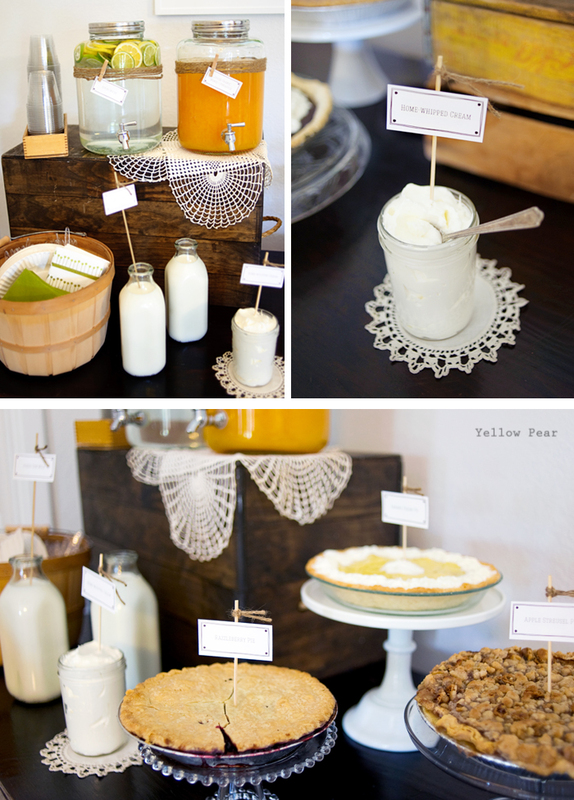 Decor included farm-inspired elements such as crates, wire baskets, vintage milk bottles and pie plates, silver serving spoons, barn wood, burlap, twine, delicate doilies and custom farm prints in blues and greens. 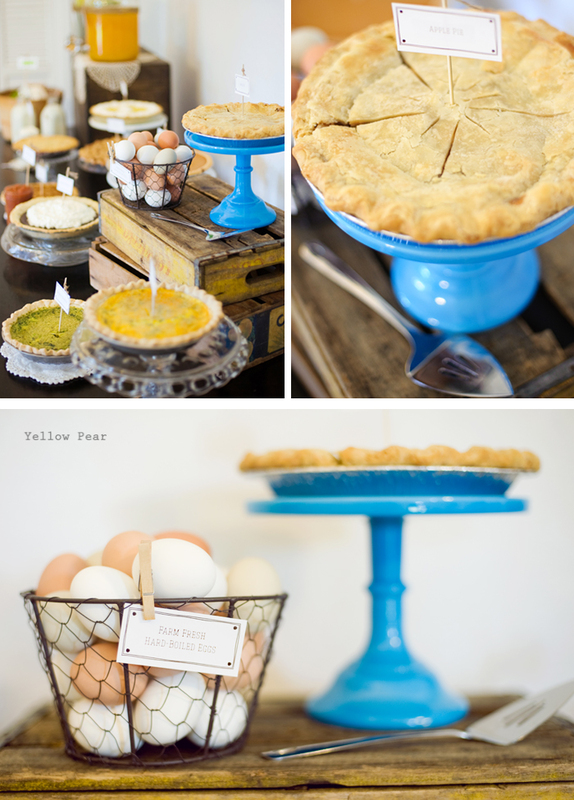 For brunch, guests enjoyed an array of farm fresh pies and quiche, hard-boiled eggs (from their backyard chickens), and of course plenty of fresh milk to go with all of that pie. 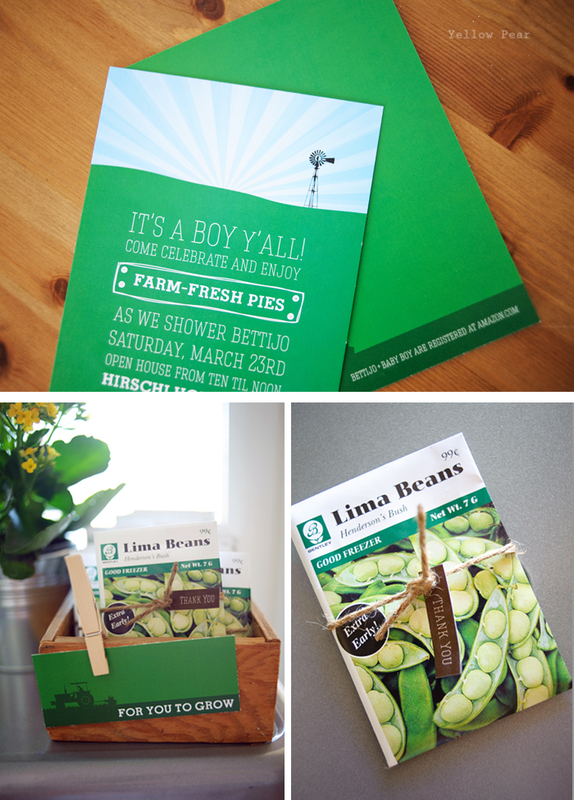 The invites and seed packet-favors started and ended the theme perfectly. 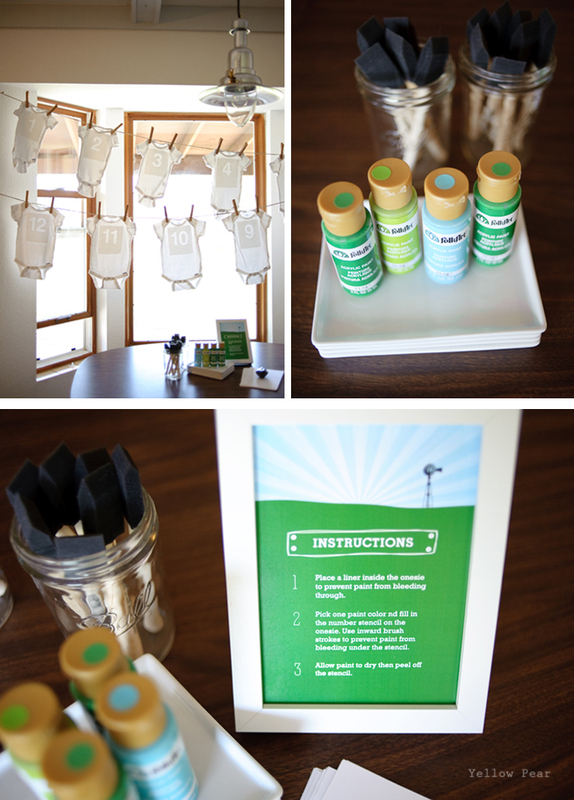 Guests worked together on a craft for the mom-to-be as a shower activity. 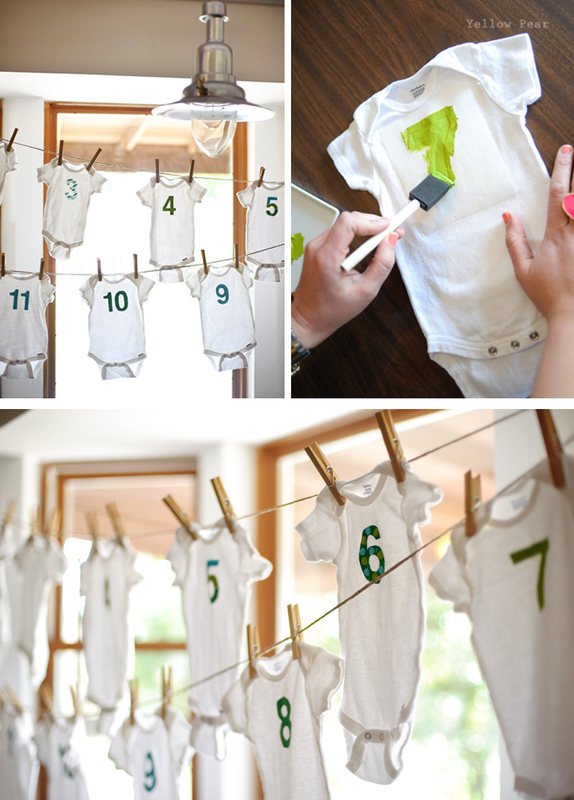 Pre-stenciled 1 through 12 onesies were painted for monthly photo shoots of the new baby boy. The onesies were hung from a clothesline to further the farm feel. Congrats and good luck Bettijo. It was a lovely shower and I enjoyed the vintage tidbits and pie/quiche immensely. I do love food you know. 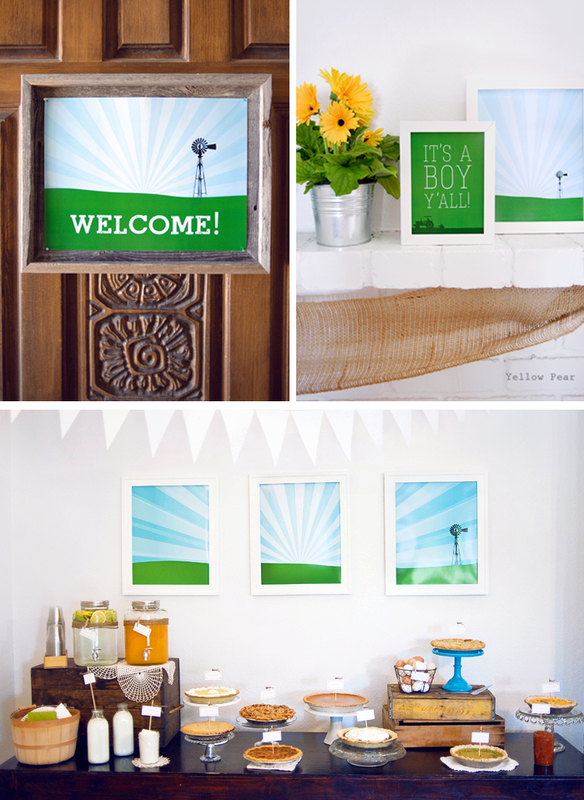 Visit Paging Supermom for more details, how to's and instructions on the shower elements... as well as a very fun Virtual Baby Shower. What a beautiful shower, I love all the little details! Great job on photographing the event!